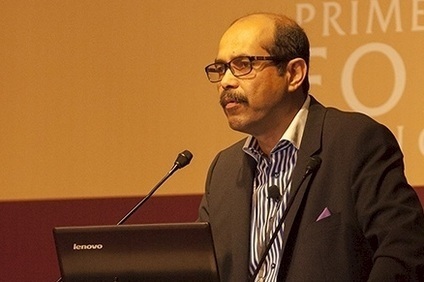 The head of the Bangladesh Garment Manufacturers and Exporters Association (BGMEA), has resigned from the board of the Alliance for Bangladesh Worker Safety amid growing tension between the two groups. The Alliance, which represents 26 North American brands and retailers including Wal-Mart Stores, VF Corp, Target and Gap Inc, told just-style that BGMEA president Atiq Islam has resigned from its board by "mutual agreement." Islam is also due to end his two-year tenure as the president of BGMEA in the next few weeks, and his resignation means there is currently no BGMEA representation on the Alliance board. Playing down the implications of the move, Alliance spokesman Guillermo Meneses said: "We look forward to continuing to work with BGMEA, the government of Bangladesh and all stakeholders committed to ensuring the safety of garment factories and the empowerment of garment factory workers in Bangladesh." 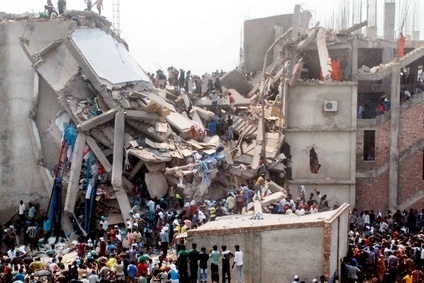 The Alliance and its largely European counterpart, the Bangladesh Accord on Fire and Building Safety, were set up after the collapse of the Rana Plaza building two years ago to ensure worker and building safety at factories making clothes for their members. The involvement of the BGMEA in both initiatives was intended to give a voice to factory owners impacted by the changes in safety requirements, but frustrations between the groups have always been close to the surface. The BGMEA has been increasingly outspoken about what it sees as unfair costs imposed on factories to upgrade their facilities and ensure workers earn a better wage, and believes buyers should be paying higher prices for the garments they source from Bangladesh. And according to local media reports, the group believes it is unable to speak up for its member and criticise the Alliance if it remains on the steering committee. In turn, the Alliance and Accord have long expressed their concerns at the Bangladesh industry’s lack of engagement in the process of making garment factories safer and empowering workers. Last month tensions came to a head when Islam reportedly described the Accord as a "big problem" for Bangladesh’s readymade apparel industry, accusing them of imposing "impossible tasks" on factories and interfering in management matters. At the same meeting, Bangladesh's finance minister Abul Maal Abdul Muhith is said to have criticised the Bangladesh Accord on Fire and Building Safety as a "noose" around the neck of the garment industry. Both the Alliance and Accord said they were shocked by the comments, pointing out that following the Rana Plaza disaster it would have been easier to walk away and look for safer countries to source from. It was also feared that the comments would delay or undermine essential factory safety improvements. But it wasn’t the first time tensions have spilled into the public domain. Last year Islam suggested labour rights activists who raise concerns internationally about the alleged harassment of workers in Bangladesh garment factories should be prosecuted for sedition – remarks described as "outrageous and unacceptable" by the US State Department. At the time, Alliance chair Ellen Tauscher described the comments as "inflammatory and unacceptable," pointing out that only a partnership with a broad group of stakeholders, including garment manufacturers, would succeed in achieving "real and lasting change" in Bangladesh. The Alliance has so far inspected all 614 factories used by its member companies, with 19 factories partially or fully closed and corrective action plans set out for necessary upgrades. The organisation also brokered a first-ever deal with the International Finance Corporation (IFC) earlier this month to provide $50m in affordable loans for garment factory owners to use for improvements. The Alliance has donated $250,000 to fund the initiative. Click on the following link for more insight: Frustrations come to the fore over Bangladesh inspections. Is garment industry compliance fundamentally flawed? THE FLANARANT: When will Bangladesh take compliance seriously? When will Bangladesh take compliance seriously?